Happy holiday weekend everyone! We have some wonderful new goodies in the shop this week including 6 new variations of our Door Shrine Kits, New Halloween Collage Sheets by Cassandra VanCuren, Charms, Stamps, and more! You can check it all out HERE. Design Team Member Amy Nieman made some STUNNING ATCs using the New Halloween Collage Sheets! She also used our Spider Web ATC Frame, Falling Star ATC Frame, and Halloween Word Paper Cuts. Amazing! 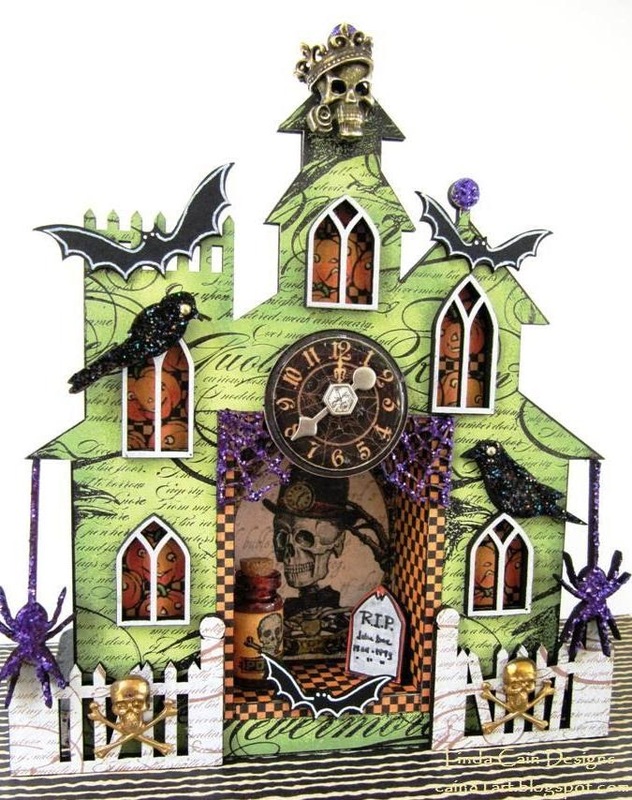 Speaking of love, check out this awesome Gothic Haunted House Shrine created by Design Team Member Lynn Stevens. 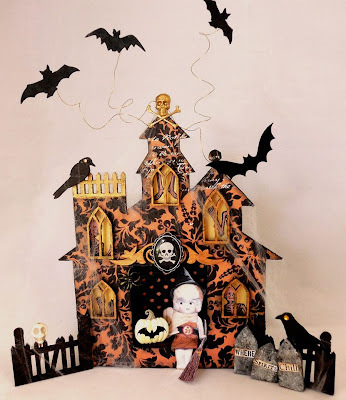 She also used Bat Cut-Outs, Gravestone Cut-Outs, Flourish Cut-Outs, Colorful Skeleton Paper Cuts, Halloween Word Cut-Outs, Brass Skull and Bones Charm, Ivory Skull Bead, Hello Dollie Halloween Collage Sheet, White Pumpkin Repeats, and Skull Cameo Embellishments. 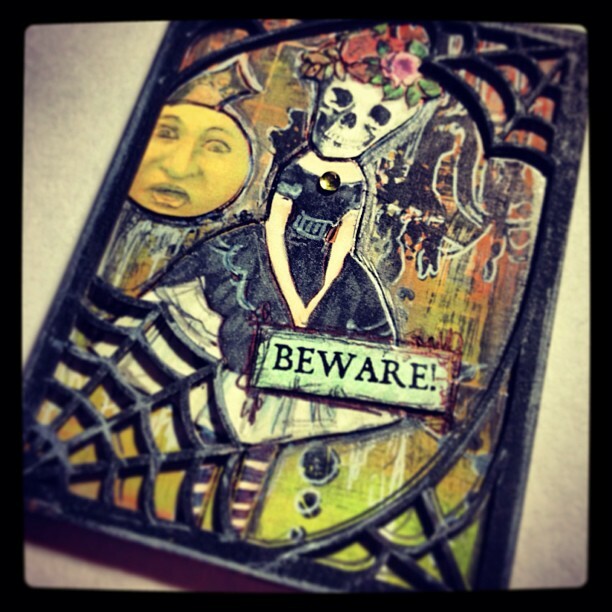 Absolutely SPOOKTACULAR Lynn! 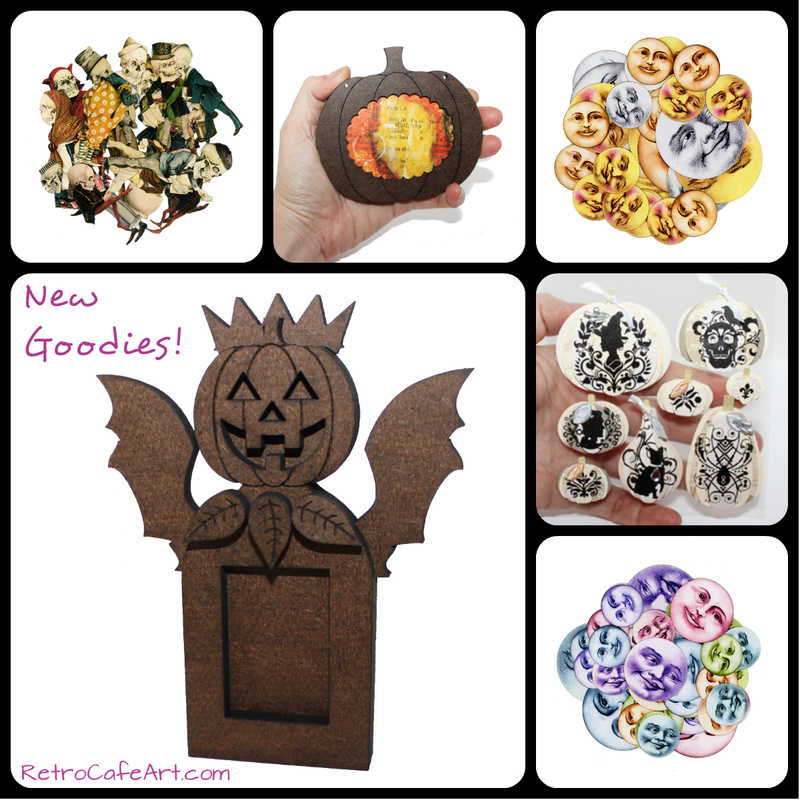 So now you're ready to create some Halloween art right? Well, then why not join in our Gothic Tombstone ATC Swap! You can get the details here. The gorgeous tombstone above was created by Design Team Member Linda Cain. 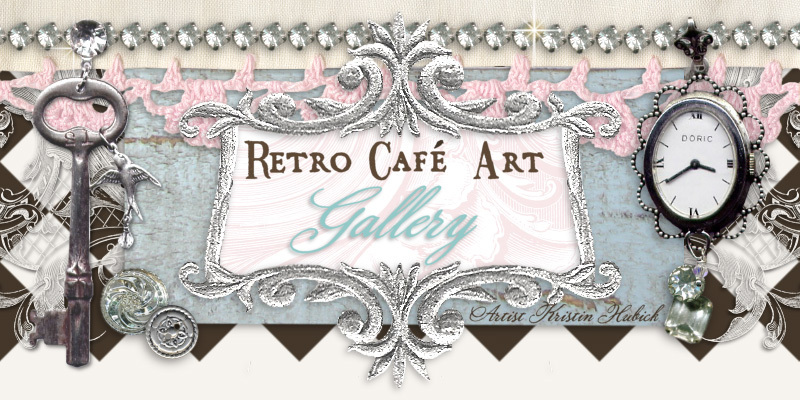 You can see more on Linda's Blog here. 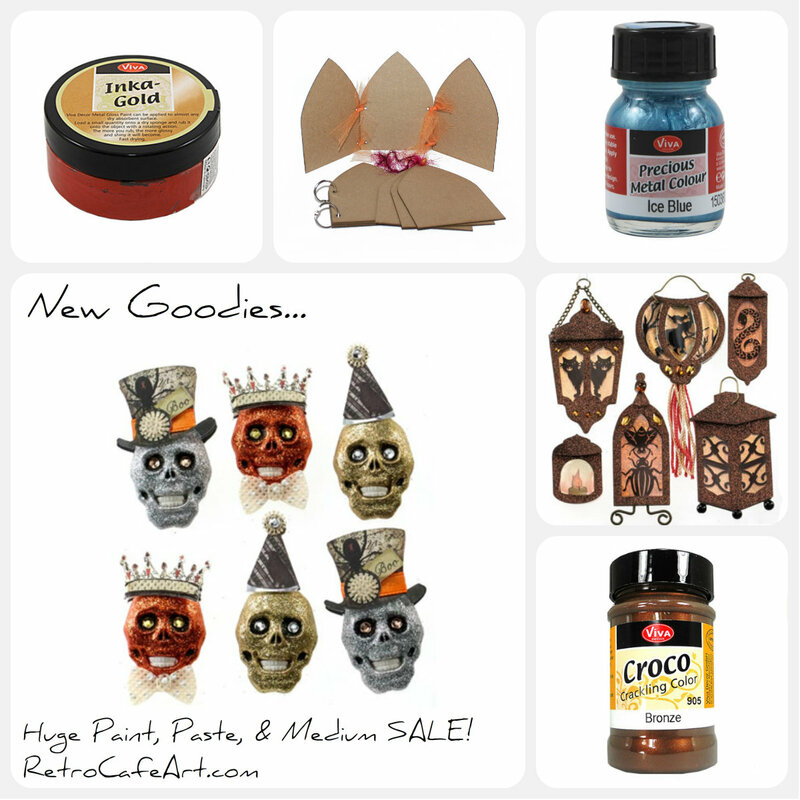 New Goodies and a HUGE Paint, Paste, and Medium SALE! Happy weekend everyone! 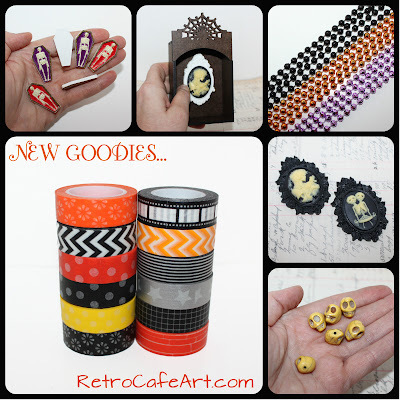 We have lots of fun things in the shop this week! You can check it all out HERE. And more importantly we are having a HUGE SALE on all things Paint, Paste, Watercolor, and more! You can view all of the sale items HERE, or go to any of the Painty-type Categories. Sale is through Monday! 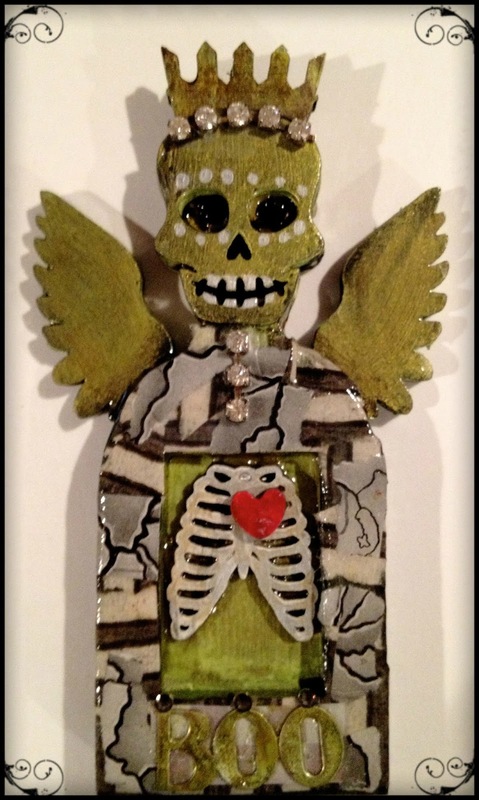 Speaking of Painty, the very talented Diana Darden created this fabulous piece using the new Green Yellow Inka Gold and one of our DOTD Fairy Shrine Kits. Plus a Ribcage and Heart. Fantastic piece Diana! She also created this wonderful piece for the Gothic Tombstone ATC Swap (come play) using the same Green Yellow Inka Gold and a Masonite Tombstone Base! Love them both Diana Darden! Skeletons, Coffins, and More! Oh My! Happy Haunting everyone! 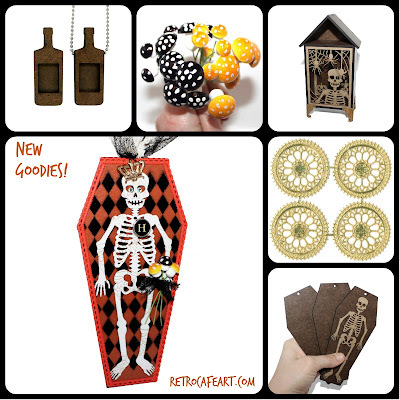 We have several spooky new goodies in the shop, including my favorite Chipboard Skeletons! 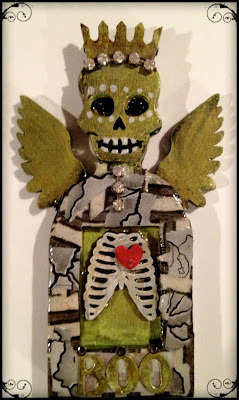 I will tell you, a skeleton is not the easiest thing to design, but I was determined! I think he's a pretty handsome fella if I do say so myself :). See it all HERE. A few weeks ago I designed this Haunted House Shrine Kit and Design Team Member Linda Cain took it to new levels! WOW! You can see the full details and instructions HERE on Linda's blog. And you can find most of the goodies to make your own HERE. 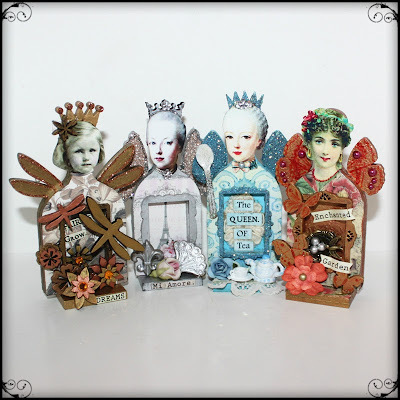 Aside from Halloween, we have a lovely fairy swarm going on here! 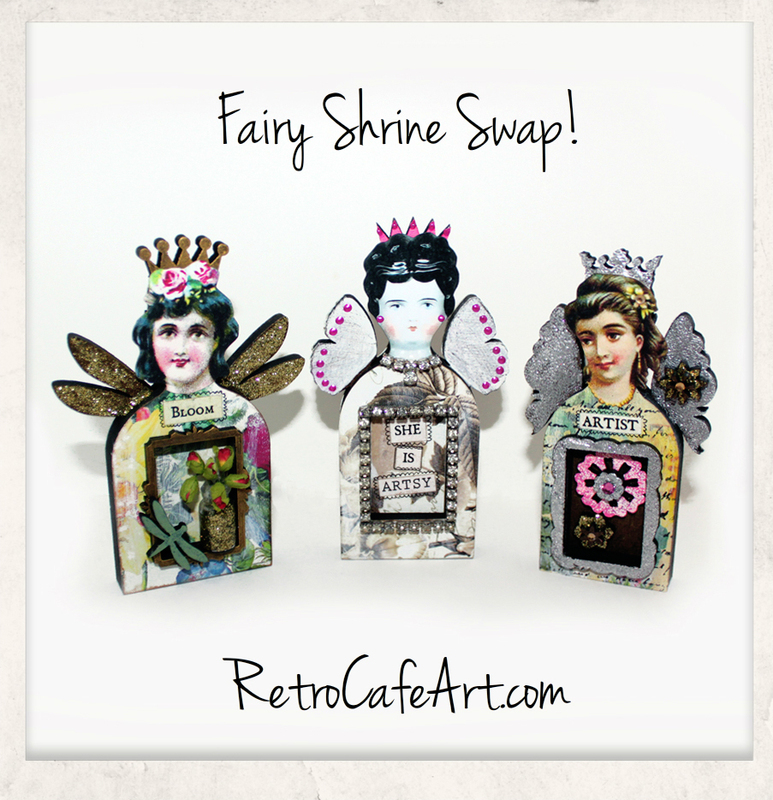 All of the Fairy Shrines are due August 19th. Several of them are posted on Facebook if you would like to have a peek. The lovely ladies above were created by Design Team Member Lynn Stevens. More to come! 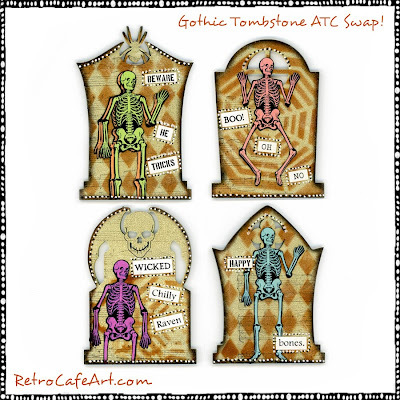 If you are starting to get into the Halloween spirit, why not join in our ATC Tombstone Swap! Details are HERE and you still have lots of time! I managed to take some much need art time and had fun playing with the new (and some old) goodies. This was actually my first ever tag. Crazy with all the art I've done! I guess I just needed the right kind. 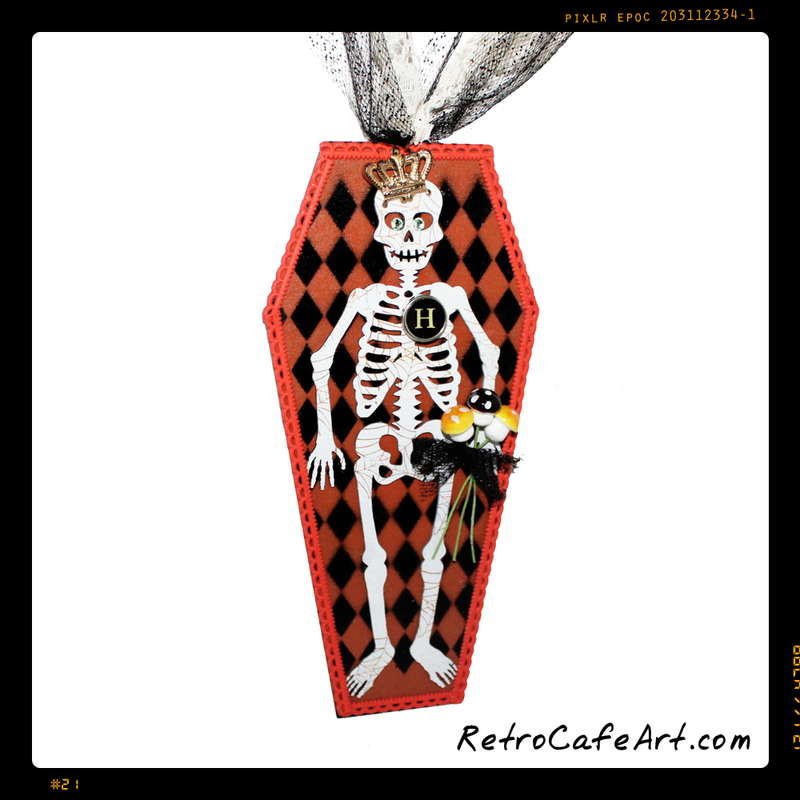 And coffin with skellie was it! Hi everyone! I hope you're having a great weekend so far! We have lots of new goodies in the shop this week and surprise surprise, plenty of Halloween! You can check it all out HERE. 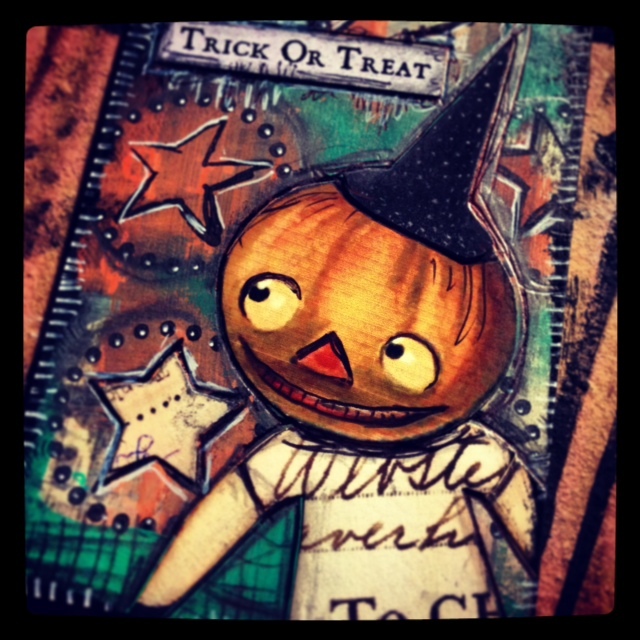 The new Articulated Pumpkin Doll and Pumpkin Fairy are among my favorites. 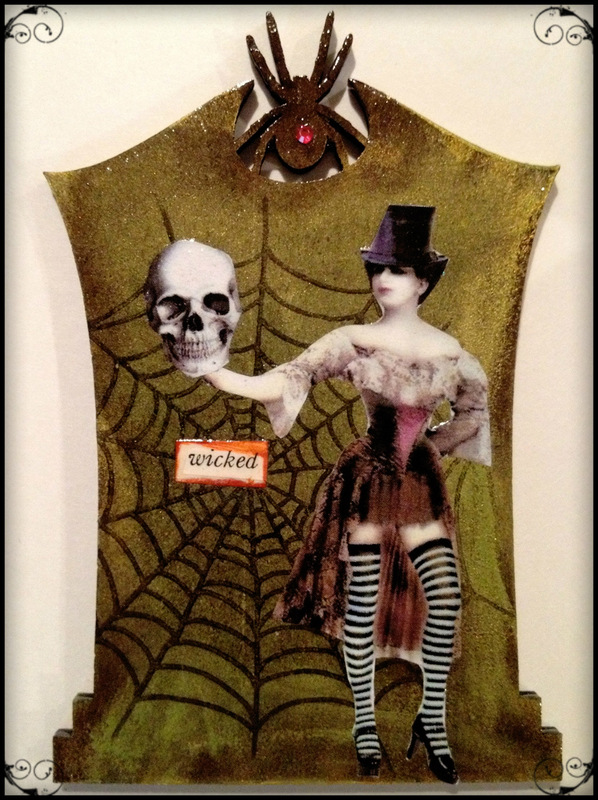 When I saw this doll created by Diana Darden using several goodies from the shop, I knew what I had to do, and Diana agreed. So there you have it. Thank you for the awesome inspiration Diana! 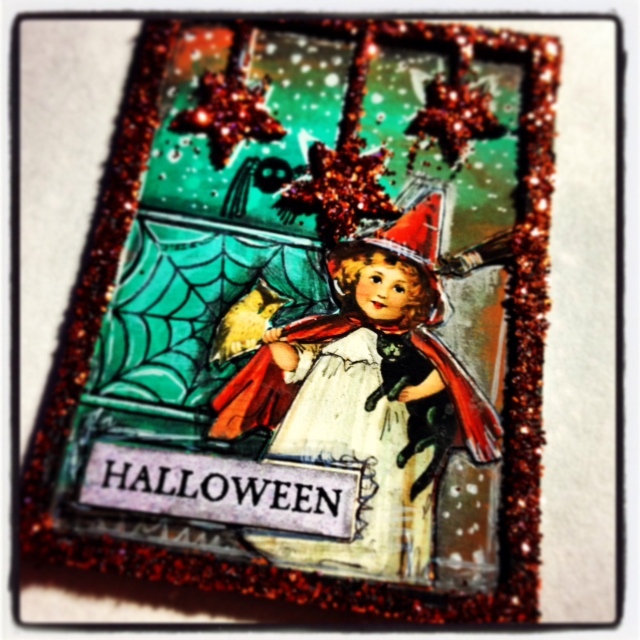 And for even more inspiration, check out Design Team Member Linda Cain's witch! Ah, Halloween, I do LOVE Halloween! Can you tell? 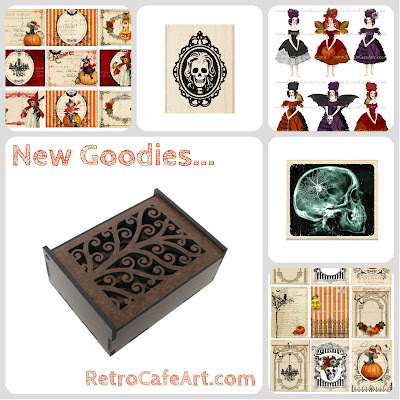 Check out all the wonderful new Halloween-y goodies in the shop HERE! 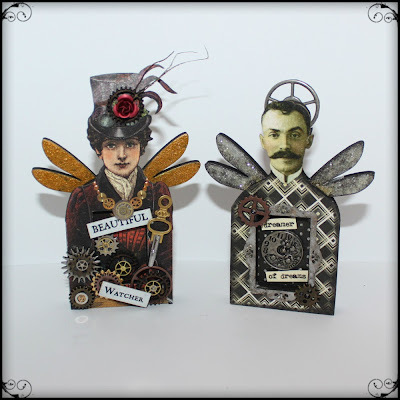 Design Team Member Linda Cain created this stunning collage using the new Steampunk Spells Paper and several other Retro Café Art Gallery goodies. You can see the full tutorial on her blog! Swap reminder! Fairies are due August 19th! And Tombstones are due October 7th!